When talking to folks about Hidden New Jersey, we sometimes get suggestions for stories that are more along the "scary" or "spooky" than the historic or natural. We generally leave those to other websites and publications that have a long history of covering them. But sometimes, there's a convergence -- a site with scare factor that actually has some history attached. Mention Clinton Road to a large subset of New Jersey explorers, and you're likely to hear a string of stories about scary goings on and late-night encounters with angry, high-beam flashing pickup trucks and shrouded apparitions that may or may have satanic intent. This sparsely-populated, two-lane road winds through several miles of woods in West Milford, attracting scores of adventure seekers who often stop at a small bridge to throw coins at a spirit who, according to legend, will toss them right back. Our story isn't about any of that. A while back, Ivan and I took the right turn off Route 23 North and onto Clinton Road, likely in the search for an interesting bird or two, when we came upon a large pile of stone that had been very purposefully set. This wasn't, as the spooky storytellers would have you believe, a Druid temple. Having seen my share of lime kilns and furnaces, I knew we were onto something very old and very industrial. Indeed, we'd stumbled on the Clinton Furnace, one of a number of old ironworks scattered in the wilderness of Passaic County and neighboring New York State. Scanning the environment, you can see why William Jackson bought about 1000 acres of land there in 1826 to process iron. Two ponds and the nearby Clinton Falls provided ample water and power to operate his planned sawmill and gristmill, and the surrounding forest contained enough timber to make the charcoal that would keep the furnace running. 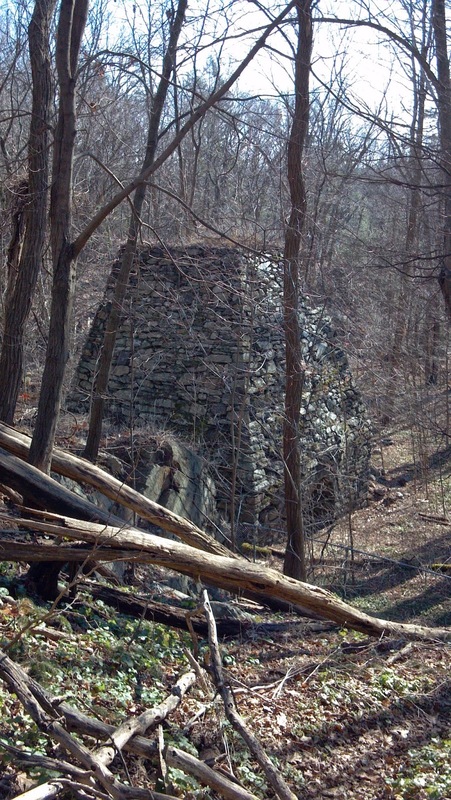 According to the Friends of the Long Pond Ironworks, Jackson was unable to finish the project and sold the property to a buyer who flipped it to John Winslow and Freeman Wood, the partnership that completed construction in 1833. They operated it as the Clinton Ironworks for three years before selling it to a new owner who ran it sporadically for another year, finally abandoning it in favor of a forge. These being the times before coal was a viable fuel option, it appears that they'd exhausted the local supply of wood for charcoal, forcing the closure of the perpetually hungry furnace. The remaining forge continued operation for about 15 years before it was finally abandoned in 1852, and the property became part of the Pequannock Watershed in 1900, serving as part of the water supply for the city of Newark ever since. Clinton Furnace stands today as one of the best preserved ironworks of its kind in northern New Jersey, especially given its location along of the region's most storied "spooky" roads. Patrols from the Newark Watershed Commission have likely discouraged vandals from mischief on the structure, or maybe the tales of satanic rites in the area have put the fear into anyone who might have been inclined to harm the furnace. However, what we see today is just the bottom of the structure; originally an additional 11 feet of brickwork loomed above. During one of our birding ventures in Sussex County, we crossed paths with a birder who told us he lives just off of Clinton Road. He's very familiar with the legends surrounding the area, particularly the one about the spirit of a small boy who lives under the bridge and tosses back coins thrown to him. Holding up his rather pricey binoculars, the birder noted that over the years, collecting all of those coins has been a rather lucrative hobby for him. Moral of the story: if you've ever been one of those coin throwers, you can rest easy knowing that your pocket change has gone to a good cause. Its gilded dome shining on a bluff above the Delaware River, the New Jersey State House isn't exactly hidden, but if you were Governor Richard Howell, you might say otherwise. Serving from 1793-1801, New Jersey's third governor was accustomed to a much less ornate seat of government which, while not obvious to the casual observer, is actually still there, 220 years later. Confused? We found out more on our visit to Trenton for the celebration of New Jersey's 350th birthday, when the State House hosted a viewing of the document that conveyed the then-colony to Sir George Carteret and John Berkeley, Lord of Stratton. Tours of the building's public areas are available six days a week, yours for the asking, and we asked. 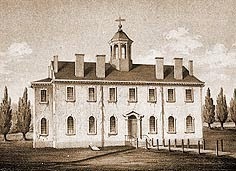 New Jersey's original 1792 Statehouse. The nation's second oldest state capitol building still in use, the building on West State Street looks nothing like what our earliest legislators saw when they convened in their new Trenton chambers in 1792. Constructed of stone by Philadelphia builder Jonathan Doan, the original modest cupola-topped building had just enough room for senate and assembly chambers plus a courtroom and office space for the governor. Chances are that today, we'd walk by a comparable building without giving a second thought of it having any great significance, but its size likely made it remarkable in the Central New Jersey of the late 18th century. The look of a 'real' capitol building didn't come until 1844, with the adoption of New Jersey's second constitution. As the executive branch grew in importance and the court system evolved, both branches needed more space in which to conduct government work. Chosen to build onto the existing State House, Philadelphia architect John Notman brought grandeur to the capitol, designing an addition with a striking dome topping an ornate three-story rotunda. Standing closer to West State Street than the existing building, the new building's facade blocked the view of the original 1792 State House, starting its fade into obscurity. Further enlargements in 1871 dwarved the Doan structure, which was modified to relocate the governor's office into the former assembly chamber. 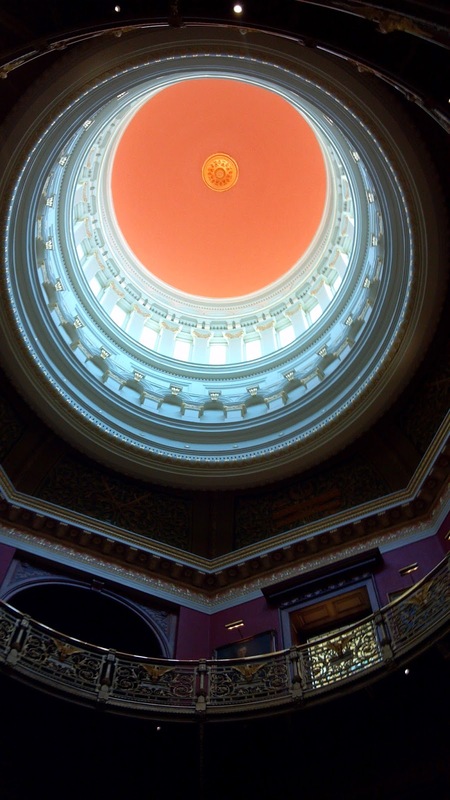 The gilded dome, from within the rotunda. Ironically, the Notman addition fronted the State House for an even shorter period of time than the original it dwarfed. Destroyed in an early morning fire in March 1885, it was soon replaced by an even more ornate version designed by Jersey City architect Louis Broome. Like the Notman version, Broome's design included columns but added an even more impressive dome. Over the ensuing years, the growth of state government led to additional enlargements and modifications to the State House, and even a separate annex built in the 1920s. The whole shebang almost got torn down following the adoption of the 1947 constitution, which essentially made New Jersey's governor the most powerful chief executive in any of the states. Fortunately, plans for a more modern State House were shelved due to lack of funds, and our historic capitol building, original, additions and all, was saved from the wrecking ball. Why would the government want to tear down such a historic structure? Our frequent reference, the WPA Guide to 1930s New Jersey, offers a hint of what might have been the prevailing attitude about the State House at the time: "The three-and-one-half story facade is in the French renaissance style, with a clumsy two-tier entrance porch supported on small scale polished granite columns. What remains of the original structure, built circa 1792, is now a part of the present building, although exactly what part is uncertain. Subsequent growth has been without regard to any foresighted plan [...] The ill-lighted main entrance corridor is hung with indistinguishable portraits of early Jersey statesmen and patriots; portraits of various Governors hang in the executive chambers." Look to the architecture of the Federal and state buildings of the day, and you'll find clean lines with little decoration, no fussiness and certainly no classical flourishes. The modern was in. Your grandfather's classicism was out. Restoration in the late 80s and early 90s brought much of the shine and grandeur of the State House back, and it remains today. The rotunda provides an impressive entrance to our government's central building, and the legislative chambers convey the state's history along with a seriousness of purpose. Still, it's pretty much impossible to tell where the original State House begins and ends. Our guide pointed out an archway leading from the rotunda to the hallway between the governor's suite and that of some of his staff members, telling us that it was the site of the original entrance to the 1792 building. To our eyes, there was nothing distinct about the walls, floors or ceilings to indicate its post-colonial heritage; it all looked to be of the same vintage as every other part of the building we saw that day. Still, though: it's there. Trust us. 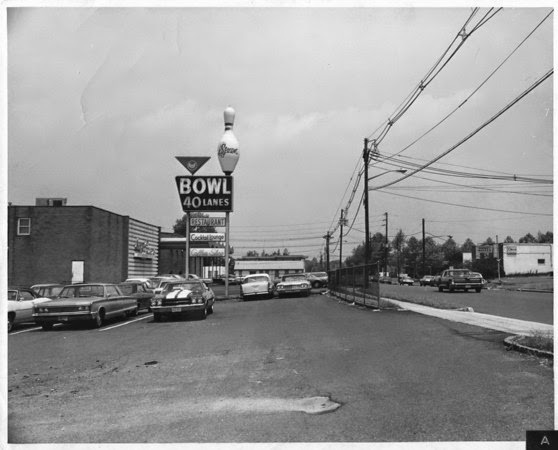 It's probably one of the most open "secrets" in North Jersey -- the legend that the singing group The Four Seasons got their name from a bowling alley on West Chestnut Street in Union. Depending on who tells the story, the quartet took the name either because their original one didn't sound as good, or because they wanted the alley's owner, who'd refused to hire them, to feel the sting of rejecting them when they hit it big. Though I grew up in Union and threw my share of gutter balls in the establishment in question, I was always a little skeptical of the story. Yeah, Frankie Valli grew up in Newark, a straight shot down Route 22, so he might have tried to book some gigs in Union, but really? Every town looks for a claim to fame, leading some residents to make dubious connections to famous people or events, and I figured some well-meaning Unionite had made a logical but probably false connection between the alley and the falsetto-singing quartet. Shame on me: it turns out the story is true, according to Valli's own website. His official bio states that in 1960 the band, then called the Four Lovers, "flunked an audition to play at the cocktail lounge of a bowling alley in Union, NJ, but they decided the lounge's name would make a classy moniker for a singing group: The Four Seasons." As much as I'd like to invite you to meet me at the alley to bowl a few frames and sing a chorus of "Big Girls Don't Cry," I can't. It's not there anymore, having been torn down in 1998 to make room for a Costco. Yup, a Costco. Folks in the area may be grateful for a convenient place to score big bargains, but Union lost a very visible landmark of its incidental contribution to rock and roll history. That and a chance for a cameo role in the Jersey Boys movie. It's not forgotten, though: in 2008 the Township of Union renamed a portion of West Chestnut Street "Four Seasons Lane" in honor of the group, complete with commemorative street signs. Given that none of the members of the group were actually from Union, I guess it's not surprising that more hasn't been done at the site to honor them, but a plaque would be nice. Maybe if Valli had scored a 300 game, things might have been different. No matter how much we think we know about New Jersey's role in the American Revolution, no matter how many relevant sites we've unearthed in our explorations, there always seems to be a new one around the corner. The Watchungs were strategically crucial during the Revolution, as General George Washington chose the protection of the triple-ridged mountain chain for part or all of four winters during the conflict. Whether he was encamped at Middlebrook in Somerset County or in Morristown, the altitude and safety of the mountains allowed him to keep an eye on the British troop movements across the eastern New Jersey lowlands while guarding the local area and protecting himself from potential kidnap raids. of the Watchungs, to the east of Long Hill. Once the British were spotted, the news needed to be transmitted to the local militias and to the Continental troops camped in the area. The old Paul Revere* "The British are coming!" method wouldn't quite work with so much ground to cover, leading General William Alexander (Lord Stirling) to a better idea. Capitalizing on the Watchungs' roughly 400 foot altitude, he ordered 23 beacons to be erected at strategic points along the ridge during the spring of 1779. Each was to be constructed as a wooden pyramid with a 14 foot base, using Alexander's precise directions for height and type of logs used. Uniformity was key: if they were to be reliable signals, they had to burn equally as well and put out an adequate volume of smoke to be visible for long distances during the day. The beacons were used several times to call out the militia to ward off the British, including the June 1780 battles of Connecticut Farms and Springfield. They served their purpose: while the Redcoats made several raids in the eastern lowlands, they were never able to reach the Watchungs or Washington. After the war, the signals were mostly forgotten, only a few commemorated with markers, leaving us to wonder exactly where they were located. Papers belonging to Governor William Livingston identified the men responsible for lighting some of the Somerset County beacons, leading historians to wonder if those signals were located on or near those patriots' homes. 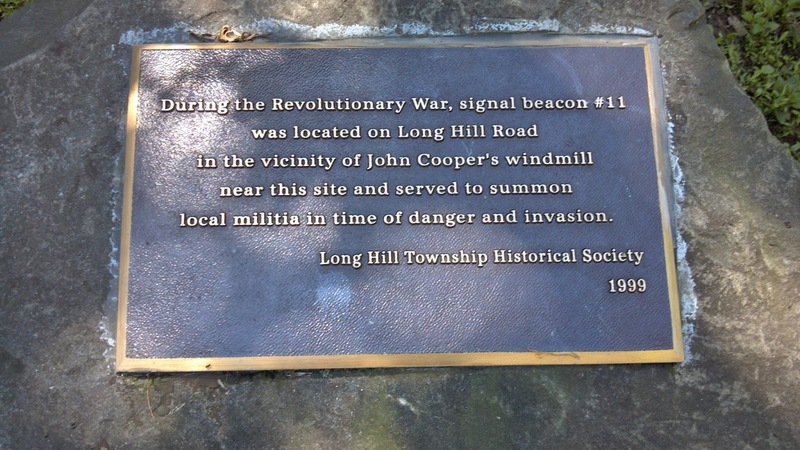 If that theory holds true, the Long Hill beacon may have been the responsibility of Morris County Militia Colonel Cornelius Ludlow, who lived in the home just across Pleasant Plains Road from the marker Ivan found. In any case, we've got a new quest on our hands: finding 22 New Jersey beacon sites. Have you seen them, and if so, where? * Or, for true Revolutionary War trivia lovers, Sybil Ludington. We've visited our share of old mine sites over the past few years. We've also stumbled on some lesser-known aspects of New Jersey's rich railroad history. We've even focused on railroads that overcame major obstacles to create a shorter path from mine to market. But bats in a mine? Okay, that makes sense. I'm cool with bats and the great work they do in keeping the insect population down. If they're happy hanging out in an old mine, more power to 'em. Bats in what could be considered New Jersey's first subway? Now we're talking! Calling the Hibernia hibernaculum a subway might be stretching it a little, but not by much. I first caught wind of the Hibernia Underground Railroad when I was researching another story on Morris County's mining industry. Just on the name alone, one could be distracted into wondering it might have something to do with the abolitionist movement of the 18th and 19th centuries, but this was, literally a railroad that operated underground. The history of mining in Morris County, of course, dates back to colonial times, with the area's iron-rich hills prompting New Jersey's status as the arsenal of the Revolution. Starting in 1722, a series of independent mines operating off the same rich iron source became known collectively as the Hibernia mines. It appears that there was enough ore for everyone to profit, and that the owners of the mines pretty much worked in harmony. As technology improved, mining practices evolved, making it a no-brainer for companies to take advantage of steam-driven transportation to shuttle ore from the mine to the smelter and perhaps beyond. Some of the mine owners banded together in 1864 to incorporate the Hibernia Mine Railroad to transport ore from the source to the Morris Canal. We'd found evidence of this railroad in Somerset County, of all places, where its former trestle bridge was relocated first to Hillsborough and now to Raritan, where it's a footbridge in a county park. 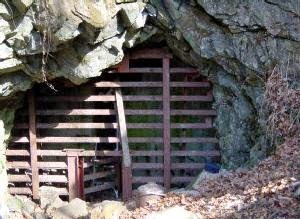 Other mine owners at Hibernia took the idea further in 1873, digging an adit (or horizontal tunnel) through the mountainous terrain to connect all of the mines with a railroad. The new Hibernia Underground Railroad shuttled ore from about 300 feet below the peak the mountain itself, with tracks that stretched about a mile from mine to the mouth of the adit. From there, the Mine Railroad took over, making the transfer to the canal or, in later years, farther to other railroads. By the early 1900s, some of the mines were exhausted, while iron magnate Joseph Wharton consolidated the rest under his own holdings, connecting his own railroad and effectively putting the Hibernia Mine Railroad out of business. The Underground Railroad continued to operate until about 1907, when it lost its connection to the canal. In reality, its years were numbered anyway, as the last ore was mined from Hibernia in 1916. Disused or abandoned mines tend to be magnets for adventure seekers of all kinds, and Hibernia was no exception. Probably from the moment the mine went belly-up, locals started poking around the adit and mine shafts, eager to search the bowels of the earth or maybe just to get away from naggy parents. Thing was, though: people weren't the only ones to satisfy their fascination with these holes in the ground. Perhaps due to human disturbance in the caves they'd normally seek out, bats found Hibernia mine, particularly the horizontal path of the railroad, to be irresistible. It's not known exactly when they started staking the tunnel out, but the first report of bat habitation was filed in 1939, with several thousand little brown bats and a smattering of eastern long-eared bats observed. In subsequent decades, researchers observed as many as 20,000 bats, leading many to declare the underground railroad tunnel and the mine as one of the largest bat hibernacula (or hibernation spot) in the nation. A bat enthusiast named John Hall studied the mine and tunnel extensively in the '60s and '70s, banding several and maintaining population counts. Trouble was, vandals and mischief makers continued to invade the mine, despite landowners' efforts to block the entrance with haphazard barriers. For many years, advocates suggested installing a grate-style gate which would allow bats to travel freely while deterring humans, but to little effect. The land above the mine was slated for development, with large homes and a golf course planned, and the mine was seen as a huge liability. In 1989 the landowner installed an impenetrable foot-thick concrete wall at the mouth of the adit. not so much for humans. 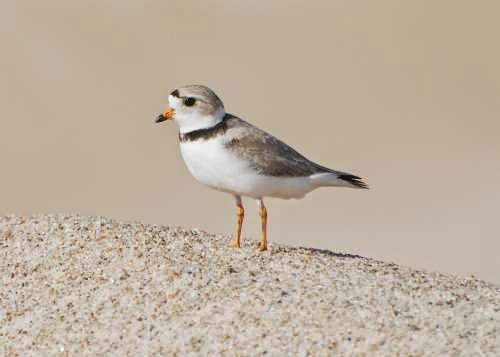 Courtesy NJ DEP. Their usual entry point blocked, the Hibernia bats were essentially buried alive, with just a few very small openings to the outside world. Local human friends of the bats reached out to Bat Conservation International and the New Jersey Division of Fish Game and Wildlife for help, ultimately negotiating with the property owner to create a mine opening sufficient for the bats' easy transit. Through a long and winding process that persisted through successive owners and a few years, advocates finally succeeded in getting the much needed gate installed. Even after this monumental success, the future for the Hibernia bats is uncertain. The 2010 mine census indicated that, fewer than 2000 bats hibernated there, due to the white-nose syndrome fungus that has decimated the population in several states around the country. Two years later, the wintering bat population was down to 537. Subsequent counts show somewhat of a leveling-off of the decline statewide, so perhaps there's hope that the worst of it is over. Scientists are still working to better understand the fungus, its causes and impact on bat reproduction, with hope that positive human intervention can help. Here's hoping that the bats' prospects turn around soon. How cool would it be to watch hundreds - thousands - of bats emerging from this old mine train tunnel in the spring? Acres and acres of pitch pines and other evergreens obscure the remnants of industry that once dotted the Pinelands. Land cleared for pig iron foundries and papermills in the 1800s has now been overtaken by regrowth, rendering the old factories difficult to locate. Other, more accessible abandoned industrial sites like the Estell Manor glassworks are easily visited within Atlantic County parks. What we didn't realize on our original visit to Estell Manor was that there was a larger and more recently-built and abandoned factory community nearby. In fact, a good part of the park now stands on the grounds of the World War I era munitions manufacturing site and proving grounds known as Belco. Just outside of the former blast range, the companion factory town of Belcoville is still alive and well. New Jersey's contributions to the war effort began well before the United States entered the conflict in April 1917, with several suppliers manufacturing ammunition for our allies. Once we were formally in the conflict, four additional factories were constructed around the state by various defense contractors, including the Bethlehem Loading Company, or Belco. Under the direction and supervision of the U.S. Army, Belco cleared about 10,000 acres of marshy pine forest along the Great Egg Harbor River to build the factory along with the nearby village of Belcoville to house more than 3000 workers and their families. An adjacent proving ground was to be the largest testing site of its kind in the world. 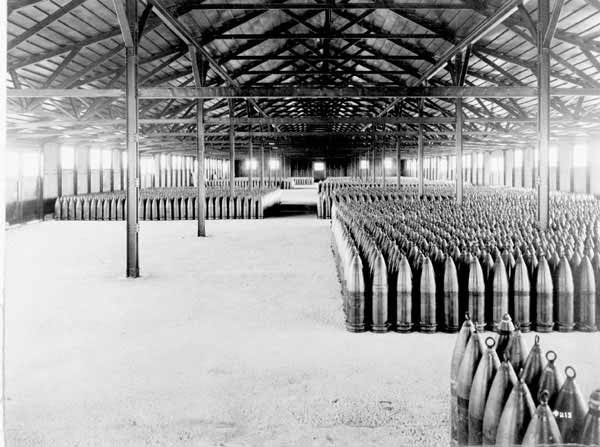 Storage facilities for loaded shells. War is a great motivator for rapid construction, and Belco is a case in point. Work on the factory site and village began simultaneously in early 1918, continuing non-stop, seven days a week. A subsidiary of the Bethlehem Steel Company, Belco was the only ordinance contractor to supply shells from mining the iron ore through forging the steel, machining, loading and assembling the final product. The site at Estell Manor was responsible for the loading and finishing stages, requiring both factories and complex safety measures to address the highly explosive elements that employees would handle. The self-contained plant included everything that would be needed to keep production moving, including a power generator, water works, personnel offices, machine shop, blacksmith and carpentry areas, and storage facilities including reinforced powder magazines. A barracks held 1100 soldiers who guarded the plant against potential sabotage, a threat already felt from explosions at Jersey City's Black Tom Wharf and the Canadian Car and Foundry munitions plant in Kingsland. Safety was paramount. Plants were built at distances to ensure that a fire or blast in one would not set off a chain reaction. A modern water pump and main system included special valves to ensure that firefighters would have adequate water pressure even if part of the system was damaged by explosion. Much of the plant was constructed of wood to prevent sparking that could set off fires, and escape chutes were built into the second floors of the plants, leading to protective ditches. Changing houses were built for both male and female workers to ensure that employees wouldn't track poisonous TNT residue out of the loading areas. As a result of these measures, Belco was a reasonably safe place to work, and no fires or blasts of note caused significant worker injury or damage to the plant. No employee ever suffered from TNT poisoning though more than 17,000 such incidents occurred at other plants around the country. Nevertheless, a 100-bed hospital stood ready to address injuries and illness. By July 1918 the first 155 millimeter shells were being filled and rolling off the assembly lines, even as construction work continued on additional factory buildings. Meanwhile, employees enjoyed the benefits of living in modern housing at nearby Belcoville, with running water and heating as well as community amenities like a school, bowling alley, shopping district and YMCA/YWCA. to large homes for supervisors with families. Just four months later, with about 70 percent of the plant built, the war ended, though Belco continued to turn out munitions for several months afterward. Plant buildings were dismantled and sold for scrap, leaving only the concrete foundations. 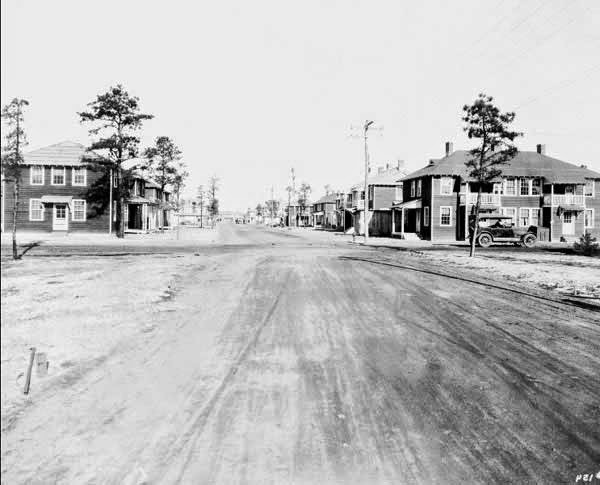 Many of the newly-vacant worker houses were sold, taken down and moved to other locations in the area, while many employees remained in Belcoville to keep the community going. Belco is listed on the New Jersey and National registers of Historic Places, and Ivan and I visited some of the roads and ruins recently, guided by an informative booklet available at the Estell Manor Park Nature Center. On a warm, sunny day, the gnats were in full force, accompanying us as we walked the broad main path into the complex. Had we not already known that a busy manufacturing plant had been there less than 100 years ago, we'd never have been able to tell. Roadways are still evident from the long, reasonably straight breaks between trees, but many of the side streets are little more but wide strips of overgrown grass marked with wooden signs. The booklet points out the sites of several Belco buildings which are a 10 or 15 minute stroll from the visitor center (depending on whether you stop to look for the stray cuckoo or vireo calling from the trees). We found the footings or a water tank and the machine shop, blacksmith and carpenter shop before the gnats got to be too much for us. There's more along the other paths, but from what I understand, most of it is along the lines of "you need an imagination to see it." No doubt, a late fall, winter or early spring visit might be more productive for those wanting to find more of the ruins. Still, a hike through Belco is thought provoking. If such a busy industrial site can revert to virtual wilderness so quickly, what potential is there for other highly-developed tracts to be reclaimed by nature? So much of New Jersey has been paved over, some to great benefit and some not. Maybe sprawl isn't irreversible after all, and maybe old industrial sites can, with some effort, host wildlife once again. Oh, and if our experience is any indication, it's a wonderfully reliable place to find Yellow-billed cuckoos. During our visit, we saw at least four, including a pair perched comfortably beside each other not far into the woods from the trail. In three and a half years and over thousands of miles criss-crossing the state, we've seen a lot of notable trees. We've come upon ancient mighty oaks that witnessed the signing of treaties with the natives and the first American air mail (albeit by balloon), and a large but younger one that provided a customary place for country folks to don their shoes before walking into town. A massive holly spent most of its life in obscurity before becoming a force in changing the route of the Garden State Parkway. A host of famed trees of other species are mostly known for being really old and still alive. 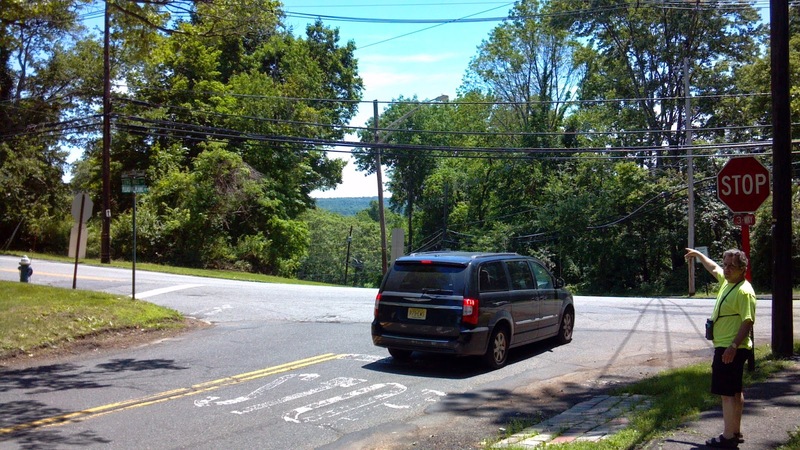 The message they all deliver is clear: despite rampant development, New Jersey communities somehow manage to preserve trees that have meaning to them. What we didn't know was that we could have visited offspring of most of these trees, and more, in one place: the Union County College campus in Cranford. There, not far from the Sperry Observatory, is a grove of 70 trees that comprise the Historic Tree Project. Labeled with nameplates, they represent not only New Jersey but many other notable places around the country. is represented by this healthy youngster. A project of UCC biology professor Dr. Tom Ombrello, the Historic Tree Project started in 1997, intending to grow and nurture seedlings and saplings of trees that have some significance in American history. Several seeds or acorns from each historic tree are germinated in the adjacent greenhouse, with the goal of ultimately planting one in the grove. Spare seedlings are shared with other schools, parks and historic societies around the state, with the goal of preserving the parent tree's heritage (or, perhaps, sap-line). Presidents are well represented, with offspring including George Washington's Mount Vernon holly, red maple and sweet buckeye trees, oaks from Abraham Lincoln's birthplace and resting grounds, and more from notable places in the lives of presidents Jefferson, Grant, Cleveland, Wilson, Eisenhower, Truman and Johnson. Others celebrate groundbreaking African Americans including Booker T. Washington and Martin Luther King. Still more are the progeny of "witness" trees that may still stand at the site of historic events like the Battles of Gettysburg and Antietam, and the attack on the World Trade Center buildings on September 11, 2001. Over the years, some of the historic trees have been felled by storms or other natural occurrences. Raising plants in climates outside their normal environments can be tricky, making some especially susceptible to the harsh weather extremes we've experienced in New Jersey over the past several years. And, of course, there are the usual four-footed villains to guard against. One might wonder if an acorn from a pedigreed oak, however young, might be an especially tasty treat for an adventurous squirrel, or if the bark of a historic sycamore might be especially pleasing for a deer looking to rub his head. 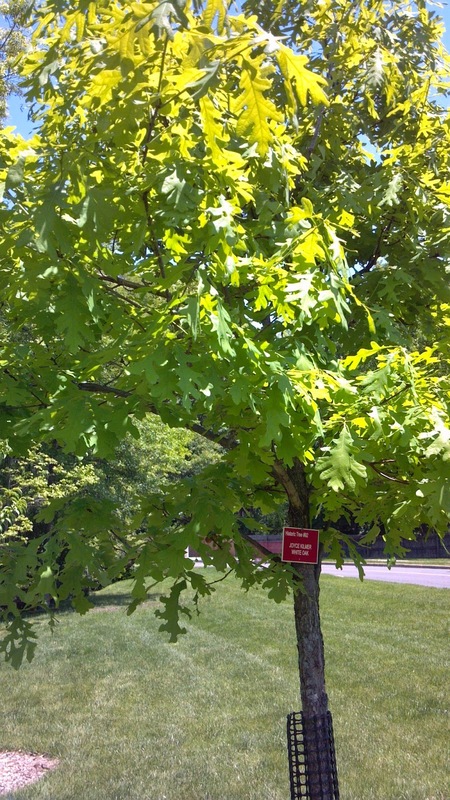 The project is now focusing on trees representing New Jersey historic people, events and sites, including catalpa, magnolia and buckeye samples from nearby Liberty Hall. Grover Cleveland's birthplace is represented by descendants of the mighty sycamore and a red oak behind the Caldwell home, while a ginko tree reminds us of the Greenwich tea burning. The Pinelands also gets a shoutout with a pitch pine from the area near Tabernacle where Emilio Carranza, the "Lindbergh of Mexico" met his untimely end while flying a goodwill mission in 1928. Like all living things, trees have a finite life. Even the sturdiest and most ancient eventually die on their own, making projects like these all the more important. Despite the best efforts of preservationists and arborists, we've already seen the passing of storied trees like the Mercer Oak and the New Brunswick Joyce Kilmer Oak, but not before acorns were collected and nurtured. With luck, 200 years or more from now, our own descendants will be able to relax under the boughs of these trees and consider their own links to the past, gain inspiration and do great things in their own lives.